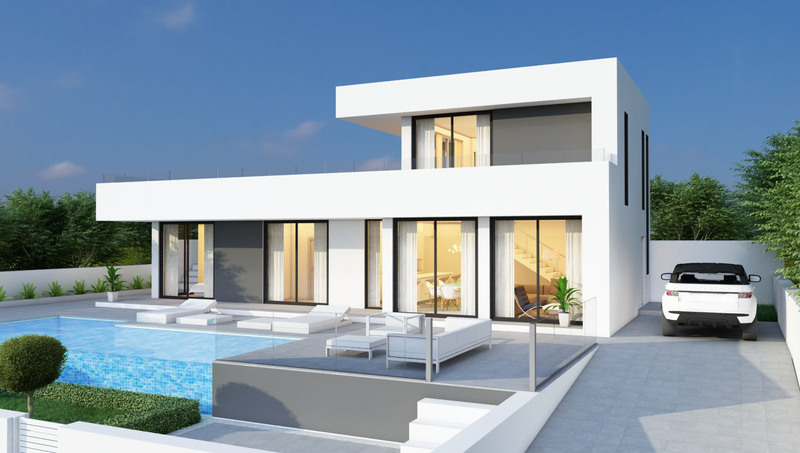 A 141M2 VILLA WITH 3 BEDROOMS AND 2 BATHROOMS HAS A 64M2 UPPER TERRACE. 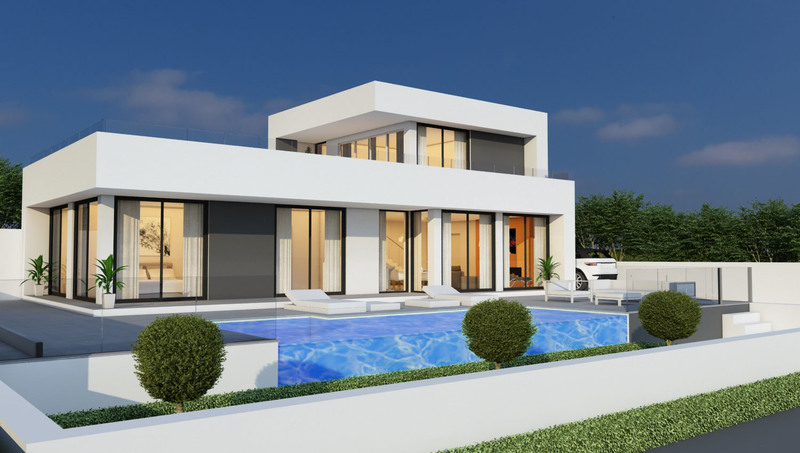 A simple stylish villa with a 40m2 master suite with a full bathroom and a walk-in closet on the first floor which opens onto a huge terrace that overlooks the pool and views across the surrounding area. 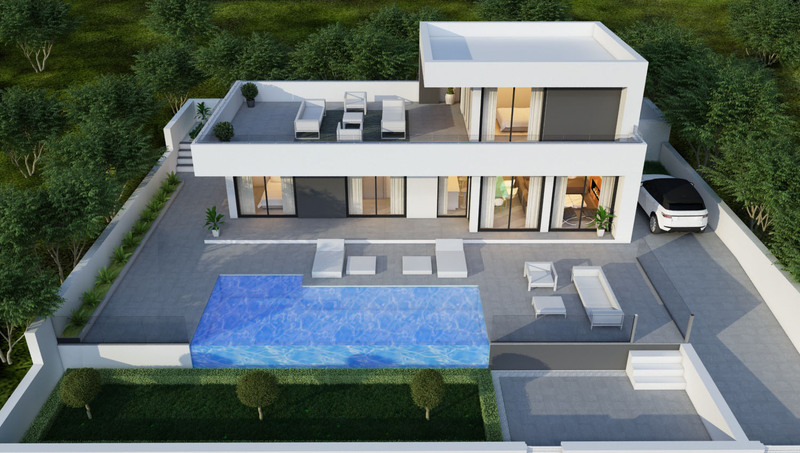 The ground floor consists of 2 further bedrooms and a family bathroom to the one end of the house with a 46m2 living room all with patio windows leading outside. 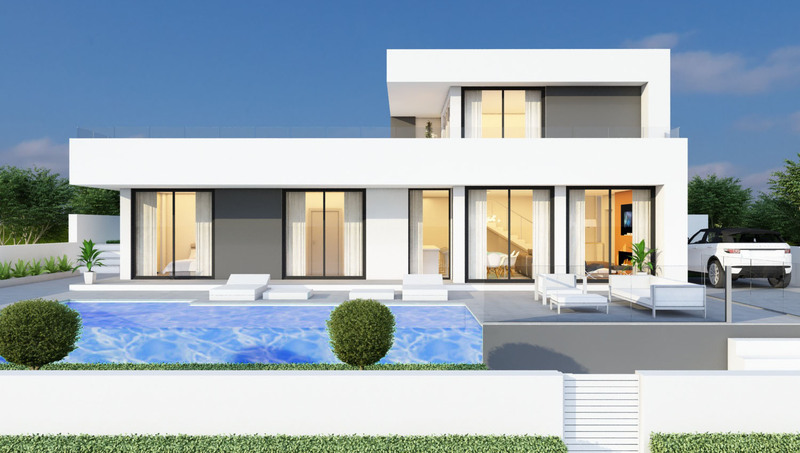 Glass panels are used in the stairwell and around the upper terraces allowing maximum vision throughout this fabulous home.